Every generation of kids has its cartoon with jokes that are far funnier to the adults in the room, and growing up that was Ren & Stimpy for me. Julius von Brunk has given us this spot-on rendition of Stimpson J. Cat, affectionately known as Stimpy. It has it all: the round red body, the tiny ears, and the giant blue nose. His eyes gaze off into the distance, with the tongue hanging out for everyone to see. 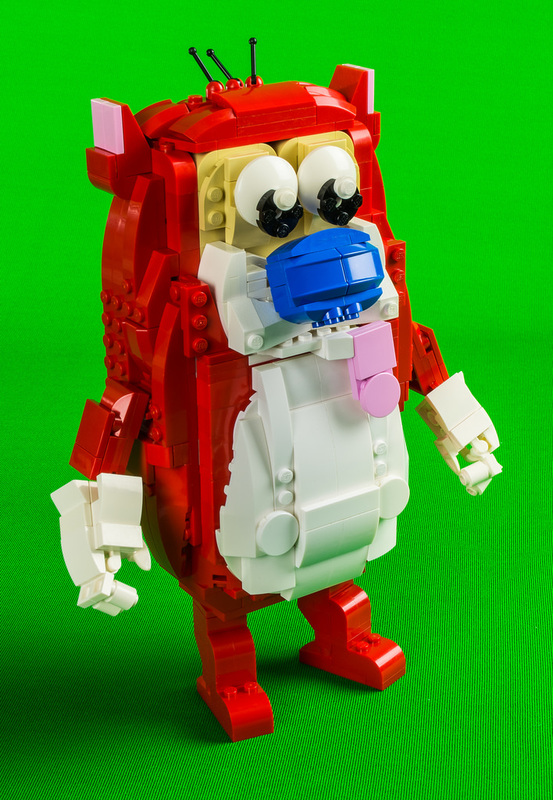 Julius does a fantastic job capturing the things that make Stimpy so recognizable, with his roundness and simplicity.